In a major blow to Intel, Apple is reportedly planning to use its custom-designed ARM chips in Mac computers starting as early as 2020, ultimately replacing the Intel processors running on its desktop and laptop hardware. The company makes its own A-series custom chips for iPhones, iPads and other iThings, while the Mac devices use Intel x64 silicon. Now according to a report from Bloomberg, Apple plans to replace Intel's Mac chips with its own homegrown CPUs. The report says Apple executives have a project, codenamed "Kalamata," that designs desktop-grade Arm-compatible processors, along with a macOS port, allowing the company to craft a uniform architecture across all of its product lines. The report also says this changeover would be part of a "multi-step transition" to make iOS devices and Macs "work more similarly and seamlessly together," helping Apple's plan (project codename 'Marzipan') to bring iOS apps to Mac for software cross-compatibility. The changeover is likely to be in the wake of recent high-profile security issues around Intel chip architecture and chips from other manufacturers. It is similar to the approach Apple has taken in the past by switching to PowerPC architecture in 1991 and to Intel in 2006. 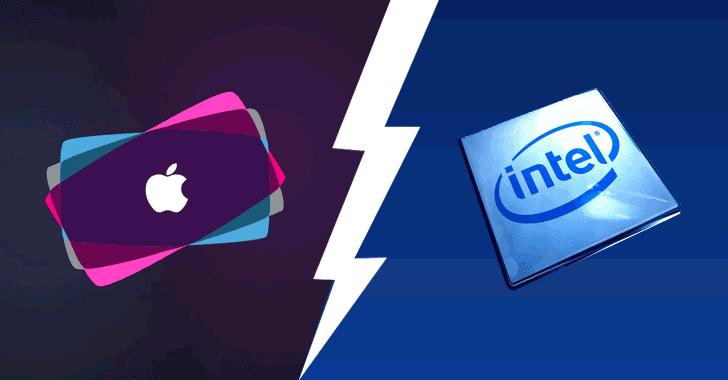 With the changeover, Apple would not have to share 5% of its annual revenue with Intel and pay for exclusive deals to offer high-end processors first to its customers, and competitors would not be able to copy innovations so easily. Switching to its own chips would also allow the company to control its own hardware roadmap better, and offer better performance to its users. Bloomberg also notes that the revised Mac Pro laptops arriving next year will include an Apple-developed chip, and other Mac laptops will also receive Apple-developed chips this year. Soon after the Bloomberg report was published, Intel’s stock price took a hit and dropped by 9.2 percent, the biggest intraday drop in over two years. They are down 6.07 percent at $48.92 at the time of writing. Rumors of Apple ditching Intel and switching to its own custom silicon have been circulating for a decade. Last September, a report also claimed Apple was looking to cut back on its reliance on Intel, but nothing of that sort happened. Both Apple and Intel did not yet respond to the report.